When Heather contacted us, she was ready for a website redesign. Her current site was several years old and it was no longer fully showcasing all Heather has to offer. In addition to running seasonal detoxes and offering one-on-one health coaching, Heather also speaks at corporate and community events….and you can find her serving up healthy recipes and tips as a regular morning show guest on Fox6, a local TV station. Click to see the new Better Health by Heather. 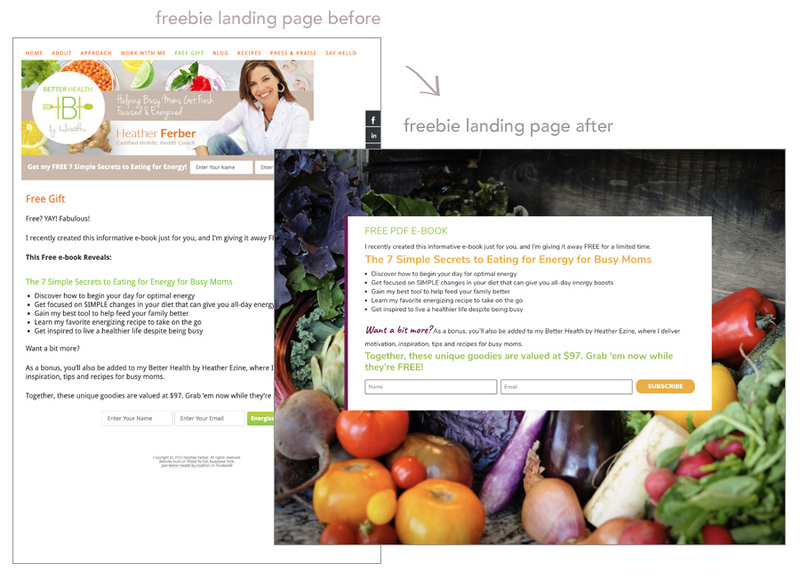 We worked with Heather to assess her business needs and organized her site map and home page content to guide visitors to her programs, coaching, and speaking offers. We updated Heather’s colors, typography and images to reflect the evolution of her signature brand style. Because Heather’s site used a WordPress theme that was no longer fully supported by the original developers and Heather wanted to be able to manage the site herself going forward, we transferred her site to Divi. We knew that switching from one theme to another isn’t always a smooth transition. So, the project schedule included time to test all site functionalities, evaluate all plugins, review all blog posts and pages, and troubleshoot and clean up issues. 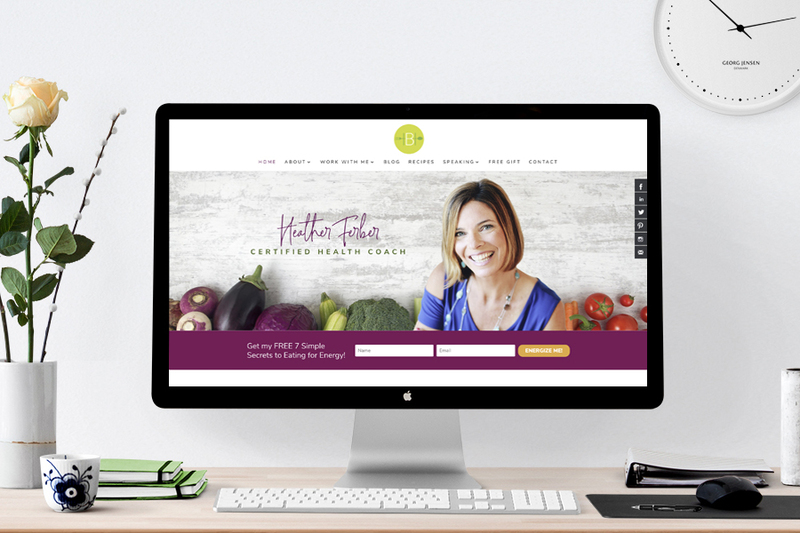 Now Heather’s site matches her fun personality, showcases her wealth of expertise in healthy living, and will allow her to continue to expand her role as a leader and speaker in the health coaching niche locally and beyond. What would updating your site, or launching your very first website, do for your business dreams? We have client openings for October and November. Reach out and let’s chat about your project. Sign up and get: the E-book Brainstorm workbook, Ripped from the Headlines workbook, three Brand Style Inspiration workbooks + audio lessons, and weekly DIY branding tips delivered right to your inbox.